Happy Thursday Peeps! Is it me or are the days just FLYING by? 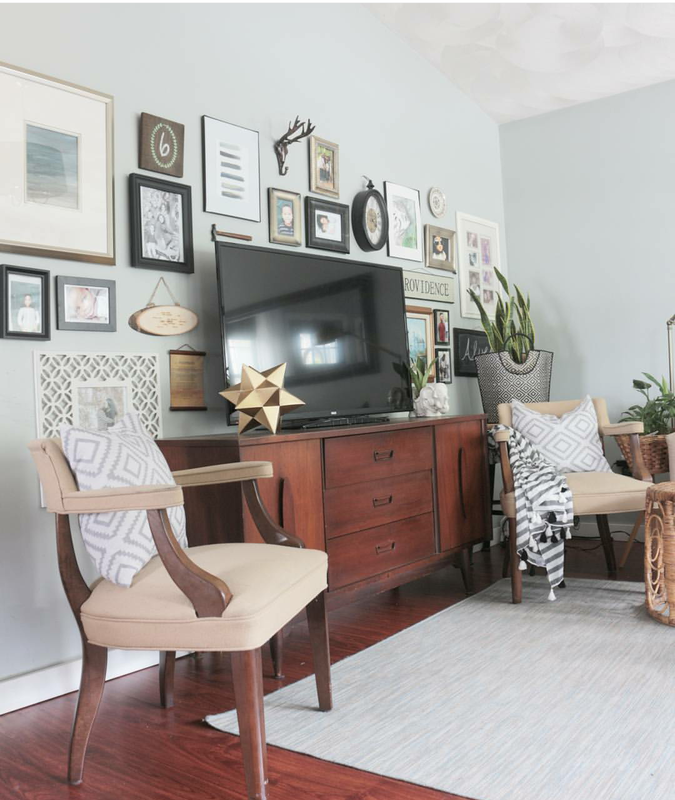 Well today I wanted to step away from the fall decor for a minute, to share with you our new living room paint color and some gallery wall tips that I swear by. A little over four years ago we made the decision to paint our home a gray/blue color by Behr Paint. 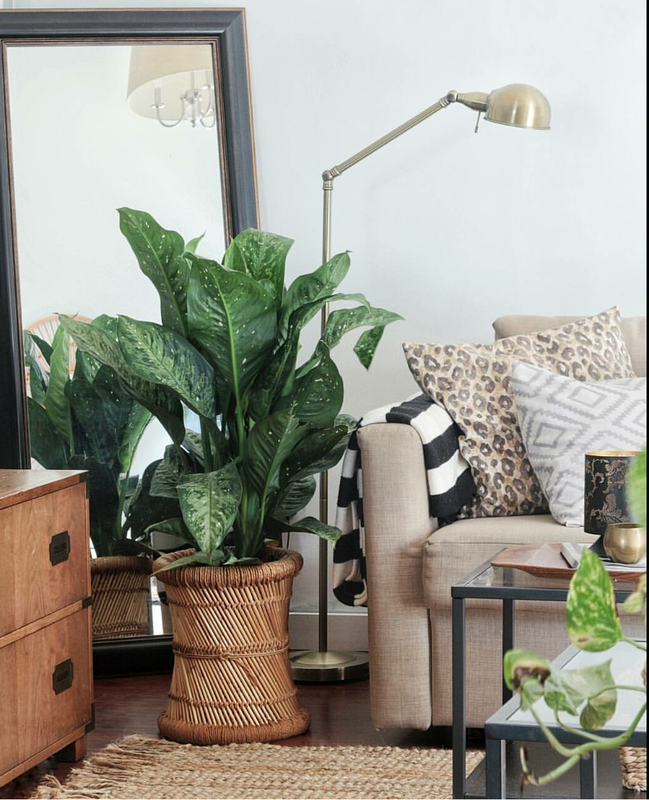 I say our home because we live in an open floor plan where our living room, dining area kitchen, main hallway AND rear hallway, are all open to each other. 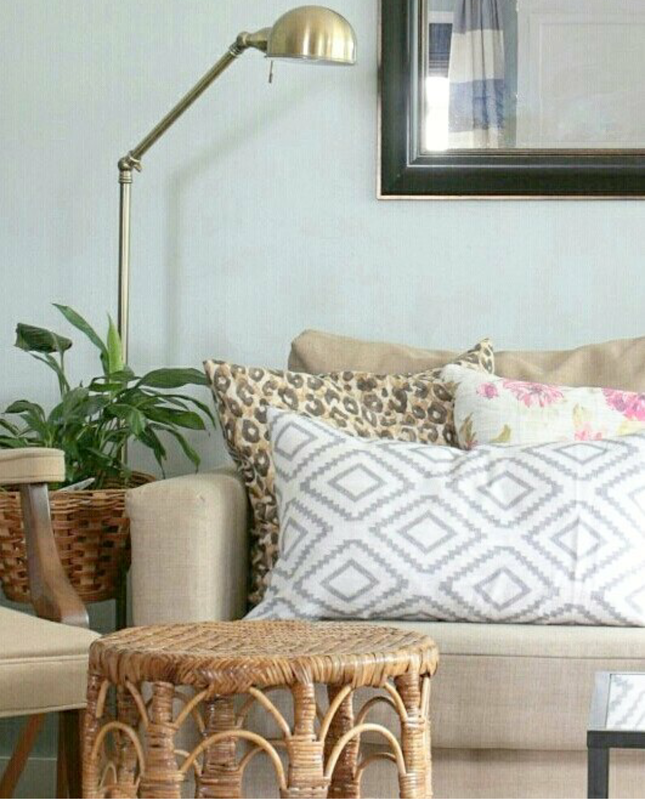 Painting these spaces in our home is kinda a big deal because our ceilings are vaulted which makes it a tough job. So needless to say, we've been putting this project off for quite some time. We finally took the plunge and began painting the living room. We wanted something bright and fresh and decided to go with the Night Blooming Jasmine by Behr, which happens to be the same color as our kitchen cabinets. Can I tell you guys how much I despise painting? Hubby's not a huge fan either, but he will usually take one for the team and finish up when I start. 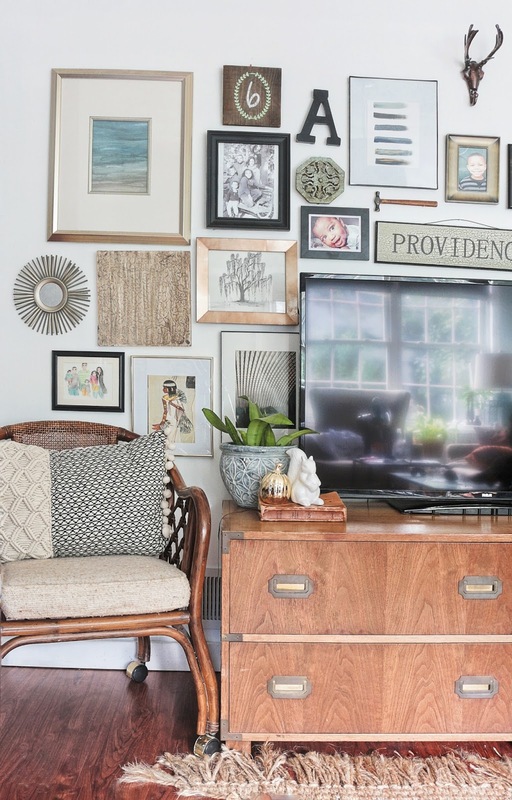 Another reason I dreaded paining the living room, besides the ceiling height was my large gallery wall that is installed behind the TV. This post contains affiliate links for your convenience. Should you click on them and make a purchase, I will receive a small commission at no cost to you. Mini or 4 oz hammer, because they are lightweight and less intimidating to use. Nails, I like to use these, for small to medium frames. It's funny how much playing that game has helped me in life . . . hanging gallery walls, packing my groceries at Aldi's . . . it's all about the perfect fit. 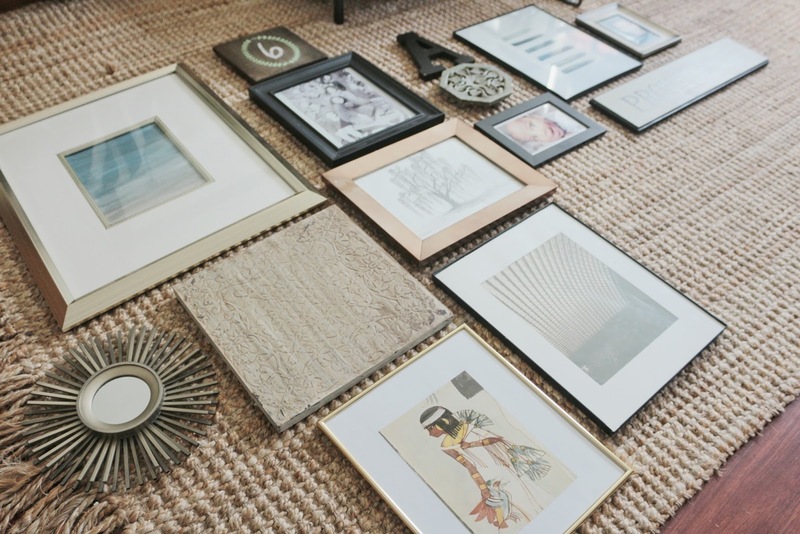 Place your first frame and continue adding, filling in the spaces with the appropriate sized frame. Tip #2: Avoid The Holes! 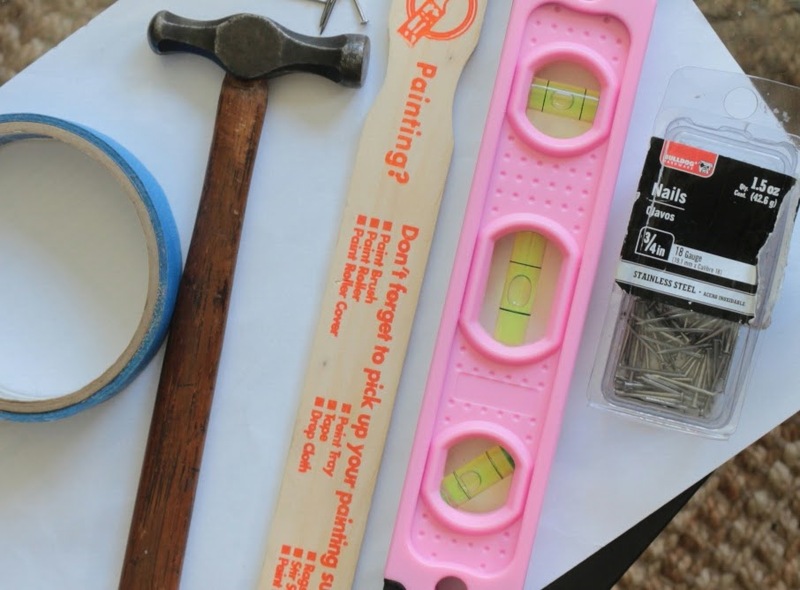 Hammer one of your nails into the middle of one of the ends of the paint stick, so it is almost all the way through. Hang picture on the nail and decide on placement. Once you are happy with it's location, just slightly press the nail into the wall to leave an indent. This is where you will place your nail! Next use a mini level to ensure your pictures are straight, I don't worry about this until all of my frames have been placed (as you'll see below). 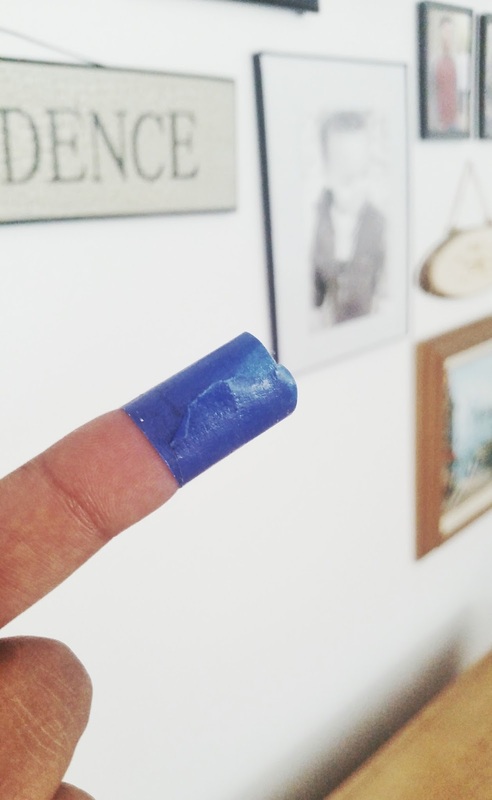 Tip #4: Tape it! Tape it Good! 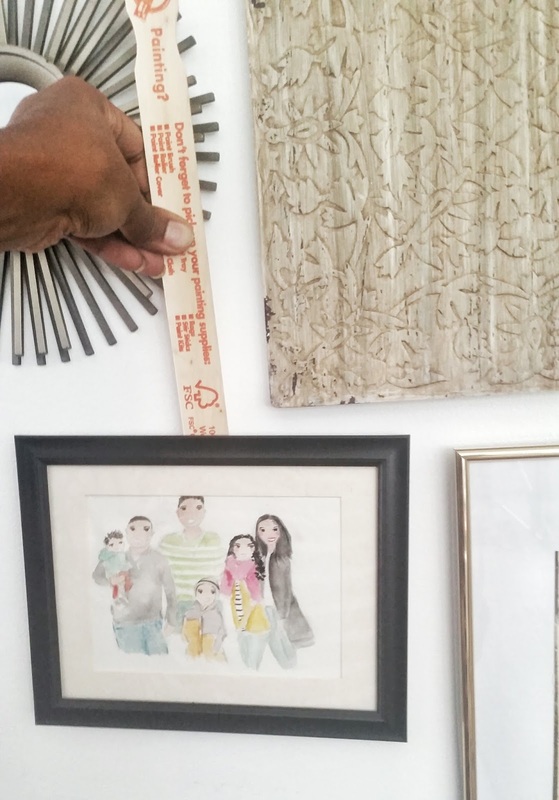 Roll up a piece of painter's tape and place behind the frame and lightly press. 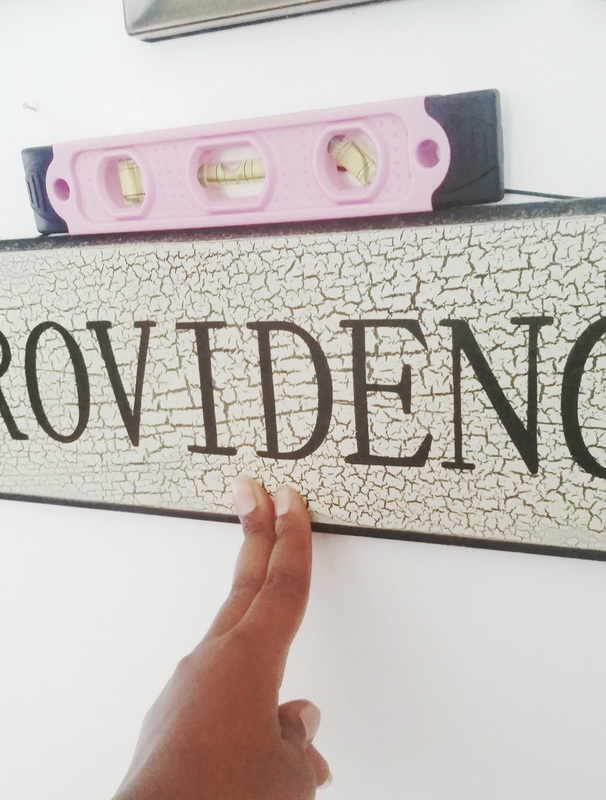 This will secure your picture in place and you don't have to worry about the paint being damaged! 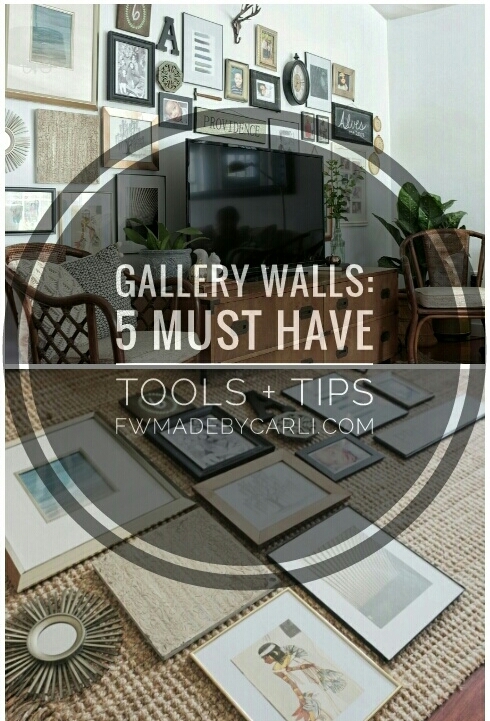 There, now you are armed with the tools and tips to create an awesome gallery wall, no matter what your favorite style is! And now, a little stop motion, well . . . because they're just so fun! Thanks so much Tamara! I hope you'll be able to give some of these tips a try! These are great tips Carli!I love the paint stick tip as well. Because I always have a millions holes in my wall! lol.And I love your new paint color! I have all of 5 must have tools, but I never notice the tips. Thank you so much for sharing, this must be helpful to many people! Please share where you got your wall clock from? 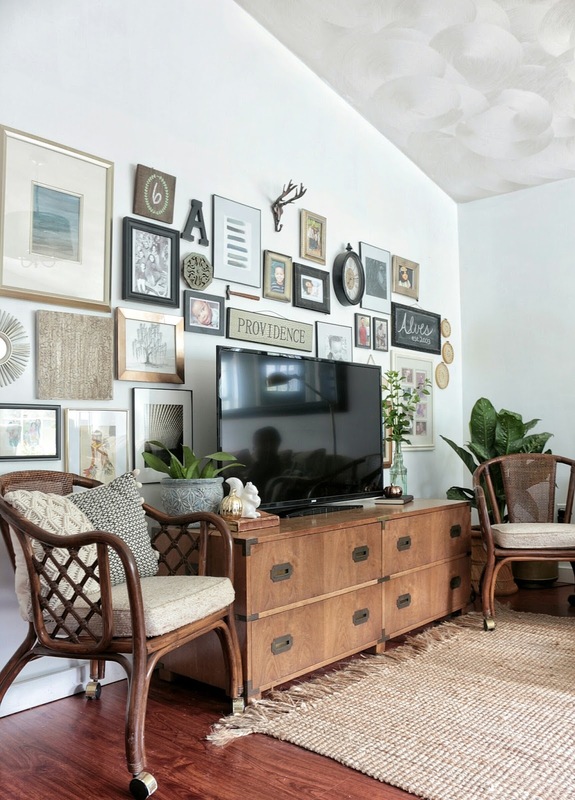 I am looking for one for my gallery wall. Hi April, The wall clock was purchased at TJ Maxx, thanks so much for stopping by!